Today's post is from well known reader, reviewer, blogger, and beta extraordinaire, Chris, of Stumbling Over Chaos. I've actually written a story dedicated to her two cats, Chaos and Mayhem. When I asked her about a book that had a profound impact on her life, she directed me to a post on her site, from May of 2010, reposted here by permission. Click this link to visit her site and read the original post. 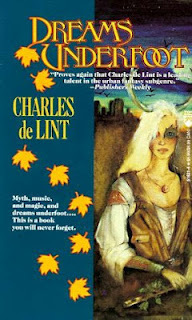 Chris's appreciation for the work of Charles de Lint took the form of a letter to the author. P.S. And, um, I really wish I was one of the Crow Girls. Be sure to visit Chris at Stumbling Over Chaos often. Not only does she host frequent ebook giveaways but she's the mastermind behind the hilarious Misadventures in Stock Photography. She posts plenty of pictures of her adorable felines, and offers a host of worthy information with her "Linkety Posts." Chris will also help you select your next favorite book with her insightful reviews. I did too! I've got more books in my TBR pile now! Thanks for the post! I'd not heard of this author, which I guess is the reason for the series to begin with. To help someone else discover great books! 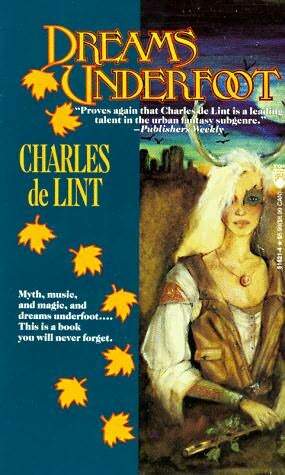 He was one of the authors who defined urban fantasy in the 80s - when urban fantasy was simply contemporary fantasy in an urban setting and NOT paranormally stuff. Awww... Love you too, Jason! And remember, if you have a favorite book from your younger years you'd like to post about, I'd love your input! Now I want to read this! Me too! Hey, Cole, I'd love to have a post from you on a great book that means a lot to you from your younger days. The Newford books are my absolute favorite books of all time! They are an amazing mix of joy, pain, and wonder. I so wanted to be a friend of the Crow Girls and Meran.